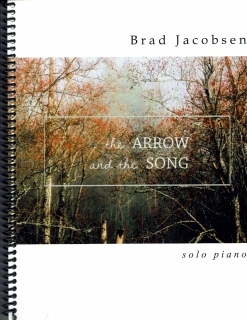 The Arrow and the Song is the companion solo piano sheet music collection to Brad Jacobsen’s 2014 album by the same name. All of the pieces from the recording are included, transcribed note-for-note by John Zechiel and proofed/edited by me, ensuring that the sheet music is as close of a match to the recording as possible. 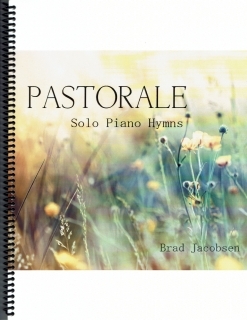 The book is spiral-bound and the music is printed on a medium-weight bright white paper stock. The notation is clear and very easy to read. Metronome settings and suggested pedaling are included, as are dynamics and detailed playing instructions. The pieces are melodic and relaxing and none are difficult to play. 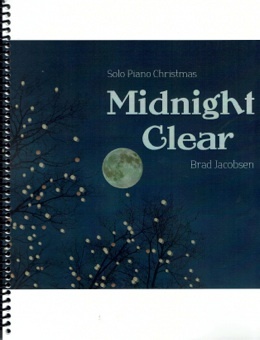 Pianists at an upper-intermediate level and above should have little trouble mastering this music. There are only a few places where there is a reach of more than an octave. I thoroughly enjoyed the hour or so it took to play through the book for pleasure and highly recommend this collection! 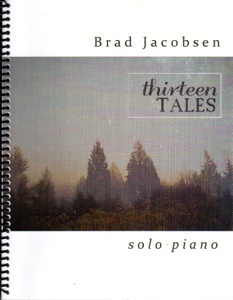 It is available as a printed book or as a download for the whole book or individual pieces from www.bradjacobsenmusic.com.